Peter Rabbit is quite popular in our home. All three kids love watching the series, and I've always loved Peter Rabbit. 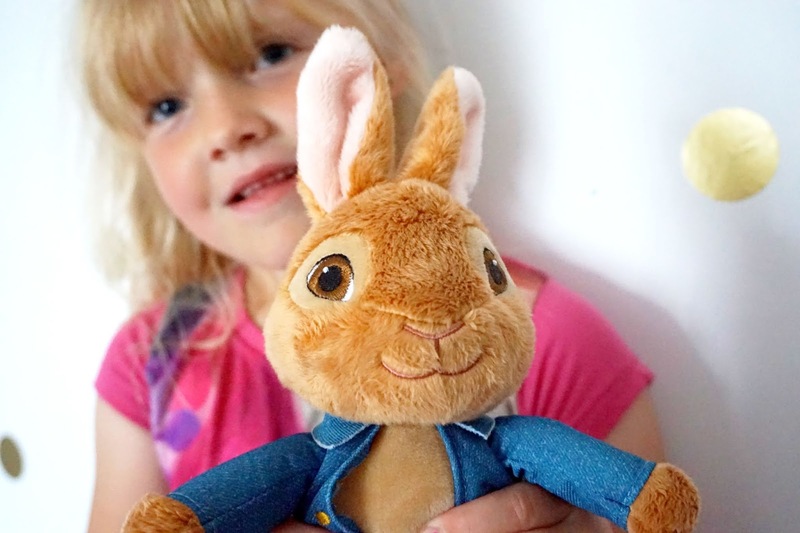 I think he's adorable, so when we were given a chance to review the Talking Peter Rabbit Plush from Rainbow Designs, I was super excited. 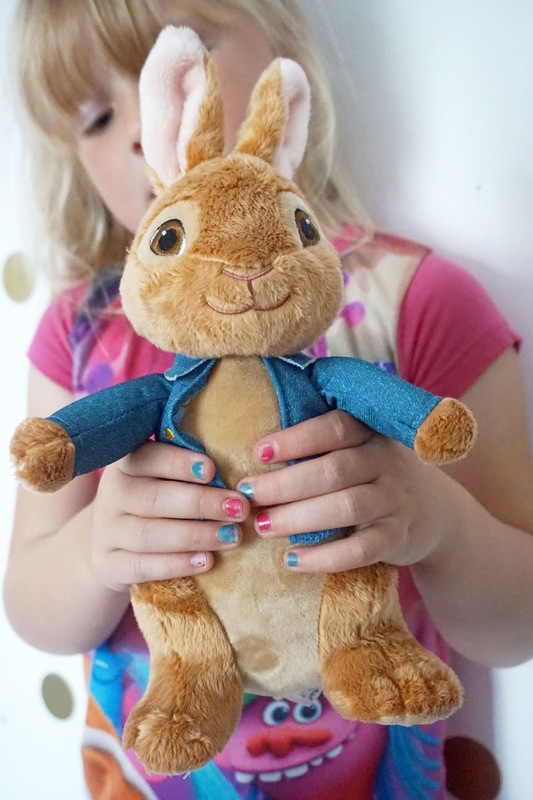 The Talking Peter Rabbit is suitable for all ages, it's super soft and great for any Peter Rabbit fan. Talking Peter Rabbit says 5 different phrases from the new movie. Some of his phrases are "Hello, I'm Peter Rabbit" and "More radishes and carrots please!". He is also voiced by the fab James Corden - who I'm a huge fan of. Freddie absolutely loved listening to Peter Rabbit talking by pushing the button in his tummy. But the girls especially loved how adorable he was. You can purchase Talking Peter Rabbit over at Amazon for just over £15 which I personally think is a reasonable price for the quality and how adorable it is. 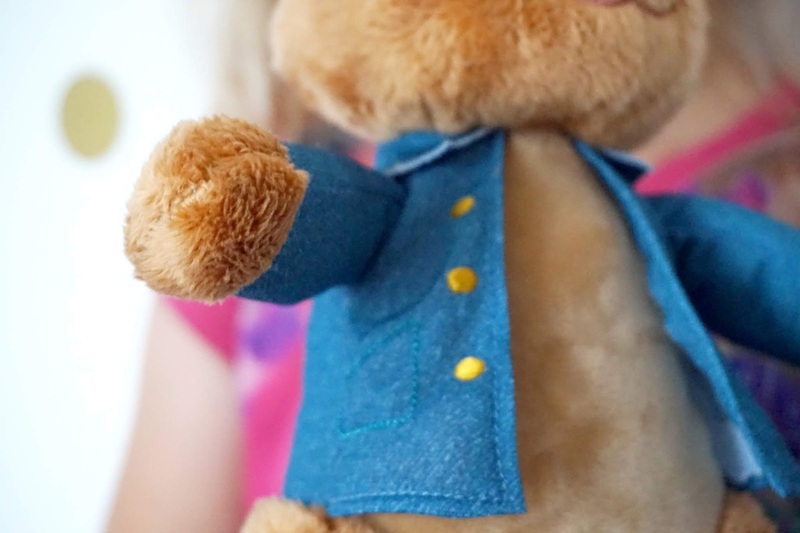 It's 31cm in height (approx), and I am sure your little one will have so much fun with Peter Rabbit and love him just as much as my kids love him. Rainbow Designs are kindly giving one Talking Peter Rabbit away to one lucky reader. All you have to do is read the terms and conditions and complete the Rafflecopter below.